Here on the Microsoft Server & Tools team that develops SQL Server, we’re working towards shipping products in a way that delivers maximum benefits to the customer. We don’t want to have dozens of add-ons to do something the product, in this case the database, should just do. In-Memory OLTP, aka ‘Hekaton’, is just one example of this. It’s worth mentioning that we’ve been in the In-memory game for a couple of years now. 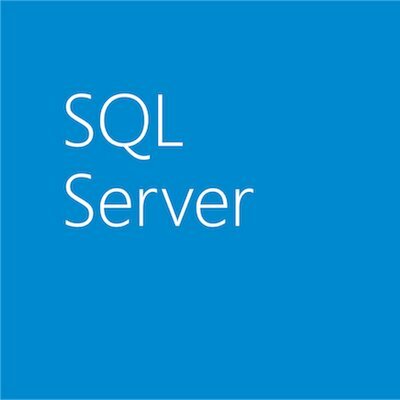 We shipped the xVelocity Analytics Engine in SQL Server 2012 Analysis Services, and the xVelocity Columnstore index as part of SQL Server 2012. We’ve shown a 100x reduction in query processing times with this technology, and scan rates of 20 billion rows per second on industry-standard hardware, not some overpriced appliance. In 2010, we shipped the xVelocity in-memory engine as part of PowerPivot, allowing users to easily manipulate millions of rows of data in Excel on their desktops. Today, over 1.5 million customers are using Microsoft’s In-memory technology to accelerate their business. This is before ‘Hekaton’ even enters the conversation. It was great to see Doug from Information Week also respond to Bob at Oracle, and highlight that in fact Oracle doesn’t yet ship In-Memory database technology in its Exadata appliances. Instead, Oracle requires customers to purchase yet another appliance, Exalytics, to make In-Memory happen. We’re also realists here at Microsoft, and we know that customers want choices for their technology deployments. So we build our products that way, flexible, open to multiple deployment options, and cloud-ready. For those of you that have dealt with Oracle lately, I’m going to make my own prediction here: ask them to solve a problem for you and the solution is going to be Exadata. Am I right? And as Doug points out in his first InformationWeek article, Oracle’s approach to In-memory in Exadata is “cache-centric”, in contrast to which “Hekaton will deliver true in-memory performance”. So I challenge Oracle, since our customers are increasingly looking to In-Memory technologies to accelerate their business. Why don’t you stop shipping TimesTen as a separate product and simply build the technology in to the next version of your flagship database? That’s what we’re going to do. This shouldn’t be construed as a “knee-jerk” reaction to anything Oracle did. We’ve already got customers running ‘Hekaton’ today, including online gaming company Bwin, who have seen a 10x gain in performance just by enabling ‘Hekaton’ for an existing SQL Server application. As Rick Kutschera, IT Solutions Engineer at Bwin puts it, “If you know SQL Server, you know Hekaton”. This is what we mean by “built in”. Not bad for a “vaporware” project we just “invented”. As for academic references, we’re glad to see that Oracle is reading from the Microsoft Research Database Group. But crowing triumphantly that there is “no mention of papers dealing with in-memory databases” [your emphasis] does not serve you well. Couple of suggestions for Oracle: Switch to Bing; and how about this VLDB paper as a starting point. Ultimately, it’s customers who will choose from among the multiple competing In-memory visions on offer. And given that we as enterprise vendors tend to share our customers, we would do well to spend more time listening to what they’re saying, helping them solve their problems, and less time firing off blog posts filled with ill-informed and self-serving conclusions. Clearly, Oracle is fighting its own fight. An Exadata in every data center is not far off from Bill’s dream of a “computer on every desk.” But, as with Bill’s vision, the world is changing. There will always be a need for a computer on a desk or a big box in a data center, but now there is so much more to enterprise technology. Cloud, mobility, virtualization, and data everywhere. The question is, how can a company called “Oracle” be surprised by the trends we see developing all around us?